offer their customers a wide range of new anti-virus security services. enhance their reputation by serving as a supplier of the Dr.Web anti-virus, a reliable solution with a history of success spanning almost 30 years. 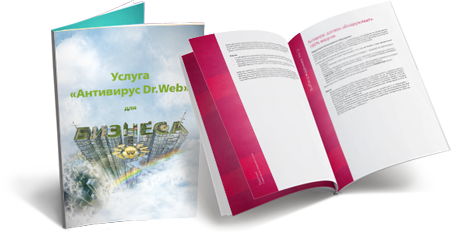 For already 10 years Doctor Web's partners have been supplying the Dr.Web anti-virus as a service on the Russian and international markets. Develops Dr.Web AV-Desk which is used to deliver the service. Provides updates for program modules and virus databases. Supports Suppliers on Dr.Web AV-Desk operational issues; Resellers — on Subscription Control Center (SCC) operational issues; and customers—on Dr.Web anti-virus agent software operational issues. Install Dr.Web AV-Desk on their servers** and ensure its uninterrupted operation. Create a network of service Resellers who sell subscriptions to customers. Grant Resellers access to the SCC. Sell subscriptions to end users. Manage subscriptions via the SCC. Render customers advisory services on subscription management and service payment issues. * When the service is delivered via ISPs the supplier link is absent. ** In exceptional cases, it is possible to deliver the service from Doctor Web’s servers, but this reduces the supplier's discount. The solution is ready for deployment. Sales can be launched with a minimal investment of time. Resellers do not need to invest in infrastructure. Suppliers with large numbers of customers may need to purchase a server. Customers control the licensing policy in the service subscriber personal account area— just find a customer and subscribe them to the service. Dr.Web supports a wide range of OSs, allowing customers of any size to obtain high-quality protection for their PCs, Macs, servers, and mobile devices. Centrally managed protection with infinite possibilities — with minimal effort, tens of thousands of remote customers in any part of the world can be protected. If they have employees who possess the necessary competence, resellers can render their customers technical support on Dr.Web software operational issues if they wish to do so. Customer requests can be dealt with using the SCC. Engineers possessing valid Doctor Web certificates that have been acquired through self-training can access such requests. Certification is free for Doctor Web's partners.